When you see these signs in yards, please note that these ARE NOT the houses on the tour. 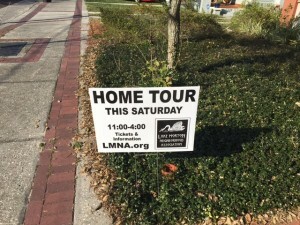 We asked residents to help us advertise the HOME TOUR, so they allowed us to put up the signs. Homes on the tour are never revealed until the day of the tour. The Lake Morton Neighborhood Association is excited to announce that the 16th Annual Historic Home & Garden Tour will be held on Saturday, March 2, 2019 from 11:00 am until 4:00 pm. TICKETS ARE $17 per person of all ages. Read FAQs about the tour. Just like last year, we’ve teamed up with the Garden Club of Lakeland who has their annual Flower Show. The show is free and will be one of the stops along the tour. All guests must sign a liability waiver. View/download here. Forms will be available the day of the tour, but you may want to download and have filled out prior to check-in. 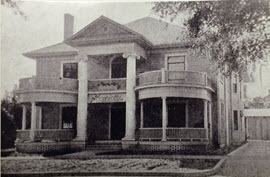 This self-guided walking or Courtesy Florida Southern College shuttle bus tour is open to the public and will feature about 9 homes and gardens in the South and East Lake Morton historic district. Because several homes have porches with stairs, not all tour locations are handicap-accessible. The tour will begin at 11 am and is accessible by foot or shuttle bus. It will showcase examples of several different architectural styles such as the Federal Colonial Revival style, the English Arts and Crafts Tudor style, the Mediterranean Revival Style, and several Craftsman bungalows. Homeowners and greeters will be on hand at the homes to welcome participants and answer questions. Buses will shuttle tour guests to predetermined stops along the tour of the homes and gardens. The buses do not stop at each house, but rather near a cluster. Significant walking is still required. This event is made possible through the generosity of LMNA’s tour sponsors. 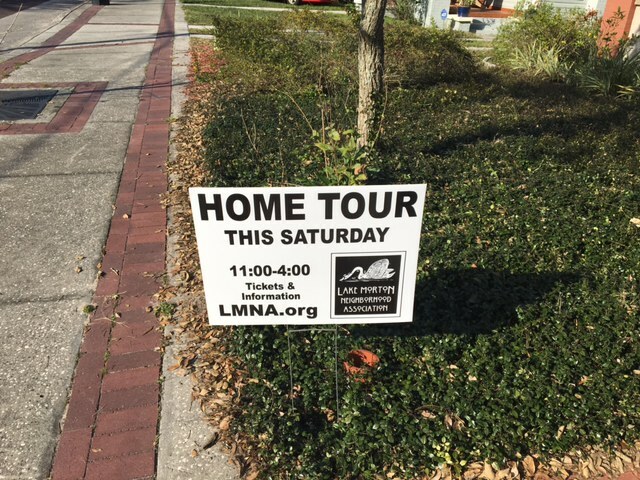 LMNA also wishes to thank the gracious tour homeowners, LMNA’s supportive membership and the many volunteers who make this such an enjoyable Lakeland event.